Ah, lists. Many of you are probably familiar with a to-do list, yet there are many other lists that we can write and create. List-making helps to curb that anxious, overwhelmed feeling of too much swimming around in our heads. Studies have shown that imagery is useful for people with anxiety, so making your lists beautiful can alleviate some of those anxious feelings swirling around. It’s also a space for creativity. When making our lists with color and design like hand lettering and flourishes, we bring a creative streak into our every day experience. Just google “bullet journal lists” and you’ll be filled with inspiration! Worry, excited about, gratitude, want to do, bucket, dreams, today’s accomplishments, ideal day, morning ritual, evening ritual, holiday gift list, stop doing, holiday menus, birthdays and anniversaries, journaling prompts, food diary, current projects, meeting notes, exercise log, grocery, meal planning, recipes to try, movies to watch, books to read, restaurants to try, wish, seasonal bucket, places to visit, fitness goals, mood tracker, things I love, favorite quotes, memories, blog posts to write, videos to shoot, things to photograph, monthly budget, items to buy, reading log, playlists, date ideas, outdoor activity ideas, causes you care about, blogs to follow, favorite Instagram accounts, packing lists, day trip ideas, job application log, essential oil recipes, beauty routine, self-care, relationship wish, career wish, habit tracker, pet care, child care, personal care, Q4 list, garden care, to be, home care, sanctuaries to visit, rescues to support. Create a list beyond your to-do list and to have fun with it. Rather than the typical ballpoint pen on lined paper or a digital list, make it colorful, add doodles or flourishes, or write on a beautiful image pulled from a magazine. 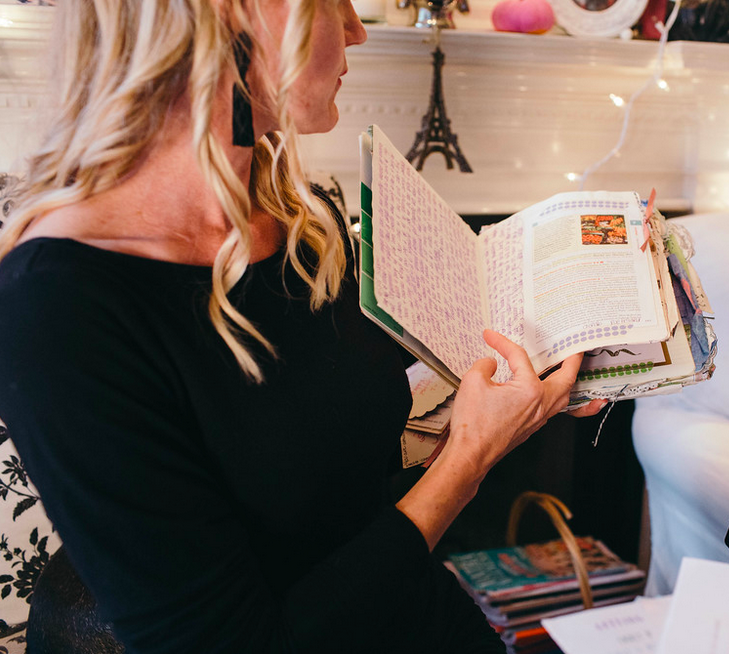 Grab your journal, a magazine, markers, washi tape, and do a little brain dumping. Make it uniquely you.